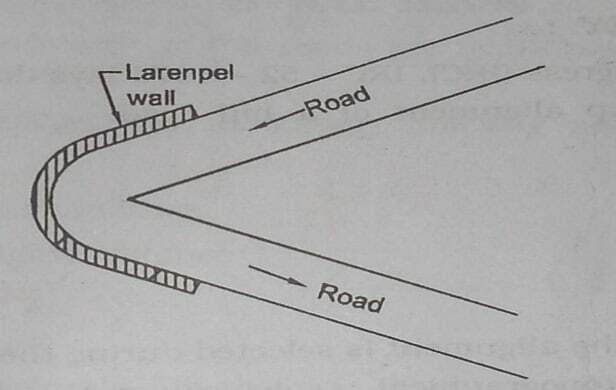 ‘The curve in a hill road which changes its direction through an angle of 180 or so, down the hill on the same side is known as hair-pin curve. This curve is so called because it conforms to the shape of a hair-pin. 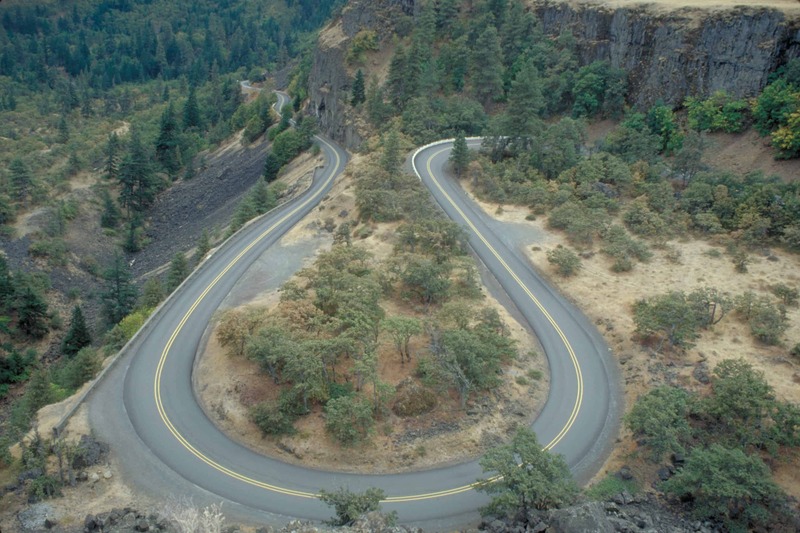 The bend so formed at the hair-pin curve in a hill road is known as pin bend. 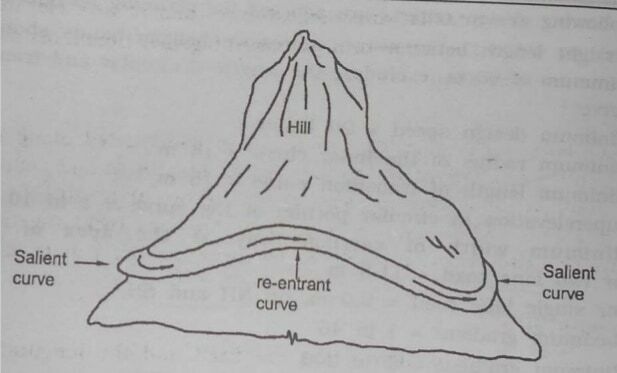 This type of curve should be located on hill side having the minimum slope and maximum stability. It must also be safe from the view point of land slides and ground water. Hair-pin bends with long arms and farther spacing are always preferred. They reduce construction problems and expensive protective works. Hair-pin curves or bends of serpentine nature are difficult to negotiate and should, therefore,e be avoided as far as possible. The curves having their convexity on the outer edges of a hill road are called salient curves. The center of curvature of a salient curve lies toward the hill side. This type of curve occurs in the road length constructed on the ridge of a hill. The bend so formed at the salient curve in hill road is known as corner bend. Salient curves are very dangerous for fast-moving traffic. At such a curve or at corner bend, the portion of projecting hill side is usually cut down to improve the visibility. The outer edge of the road at such a curve is essentially provided with a parapet wall for protection of the vehicles from falling down the hill slope. The curves having their convexity on the inner edge of a hill road are called re-entrant curve. The center of curvature of a re-entrant curve lies away from the hill side. This type of curve occurs in the road length constructed in the valley of a hill. These curves are less dangerous as they provided adequate visibility to the fast-moving traffic. At such curves, the parapet wall is provided only for safety of fast-moving traffic. Also Read –Why Superelevation is provided in roads.